Cold nights are the first sign that winter is coming. The best way to deal with the months of cold weather is to be prepared. If you have an evaporative or swamp cooler you will need to do a few things to get it ready for the winter. Why winterize a swamp cooler? First, locate the valve that supplies water to the swamp cooler and shut off the water. The water supply is often located somewhere where it can be protected from the cold such as in the crawl space under the house. Then disconnect the water line from the swamp cooler and pull it down off the side of the house. If possible disconnect the water line from the water supply valve also and then blow out the extra water in the line so it does not freeze and crack. If you can’t easily disconnect it just be sure to drain it as best you can before storing it. Tuck the water line into a storage place that is warm enough that it will not freeze. It is important to drain all of the standing water at the base of the cooler. To do this remove a side or two of the swamp cooler and drain the remaining water out of the pan. It is a good idea to use sponges and a bucket to absorb as much water as possible. Sometimes there is a drain valve in the pan of the swamp cooler but removing and trying to reseal it can cause a leak. Sponging out the pan gets more water out and prevents the problem of the drain valve not sealing. You can also use the sponge to clean out that extra dirt on the inside walls of the swamp cooler so it will be fairly clean when you go to start it up in the spring. If there is a lot of mineral and dirt build up in the swamp cooler pan you can use a shop vac to clean it out before sponging it clean. Optional: When the pan is dry, coat the bottom of the pan with a watertight metal sealer to prevent rusting. Another option is to wait until spring to check for leaks and seal them. The swamp cooler pads will need to be changed before it is used again after the winter months. When to change the pads is really up to you. Some people like to change the pads as part of the winterizing process so that when spring comes they can just hook the water up and be ready to go. Or you can replace the pads in the spring so they are as fresh as possible for the hot season. A swamp cooler cover will protect the unit from the elements during the winter months. Measure your swamp cooler before purchasing a cooler cover because covers are designed to fit snugly on a specifically sized cooler. Swamp cooler covers are easy to install, they just slip over the swamp cooler and tie down on the bottom and on one side of the unit. Many covers protect against rain, snow, sun, and dirt and can be reused year after year. The vent panels on the side of the swamp cooler reduce condensation (which can damage the metal inside of your cooler), and wind lofting so it won’t fly away as easily. Note: If you are looking to save money you can use a tarp to cover your swamp cooler. A tarp can be tied down with rope or duct tape. The only problem with this is you can get condensation with no air moving through which can help the internal cooler parts rust faster. The final step to winterizing your swamp cooler is to cover the vent. The vent where your swamp cooler blows air into the house is also a possible source of heat loss in the winter. 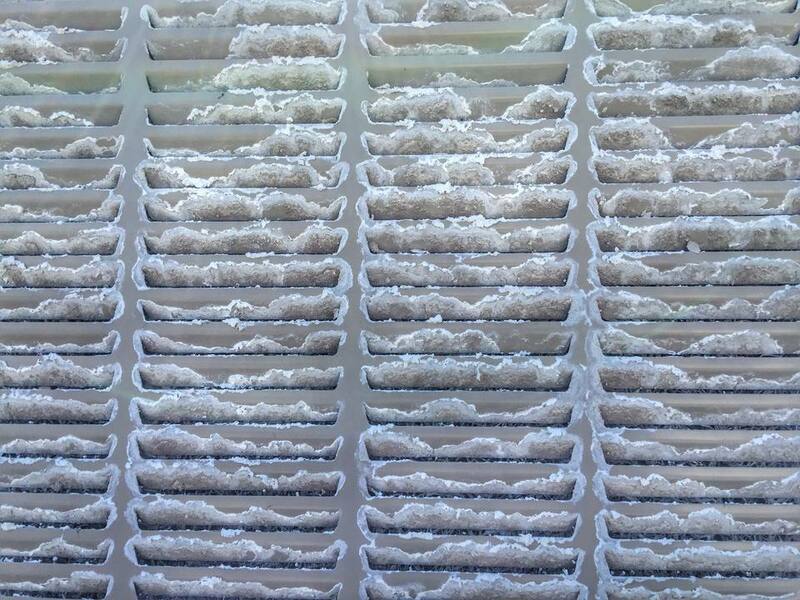 It is a good idea to close the vents and seal it off during the winter months. An easy solution is to cut a double piece of cardboard or a piece of insulation to the size of the opening. From inside the house remove the vent cover and install the cardboard or insulation into the opening and then put the cover back on. You may also want to reverse the process, as well.